BARBARAELLEN KOCH PHOTO | The Central Square development is planned for the grassy land just east of the CVS Pharmacy in Wading River. 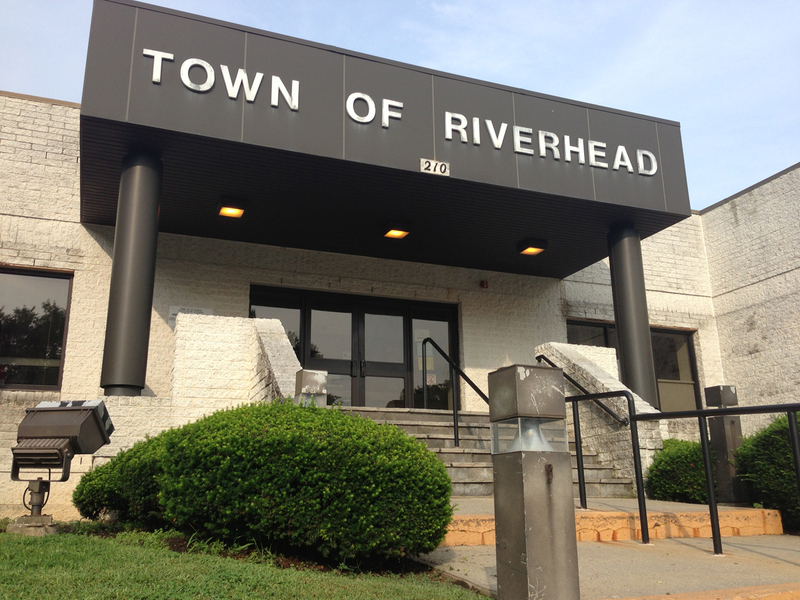 A 49,100-square-foot commercial development on Route 25A in Wading River received site plan approval from the Riverhead Planning Board Thursday night. Central Square at Wading River, which was one of the four large proposed commercial projects in Wading River that some residents had cited in early 2011 in asking the town to restudy the zoning along Route 25A in Wading River, is slated for 18 vacant acres just east of a CVS pharmacy on the south side of Route 25A. The property is owned by the William and Ioannis Zoumas family. The Central Square plan calls for six buildings, four just under 10,000 square feet each would have retail and office space. Another 4,250-square-foot building would have only office space only, and a 5,300-square-foot building near the front of the property would have a 150-seat restaurant, according to the site plan. The back half of the 18-acre property is zoned residential and is not proposed to be developed under the Central Square application. The Central Square plans were first submitted in the fall of 2010.